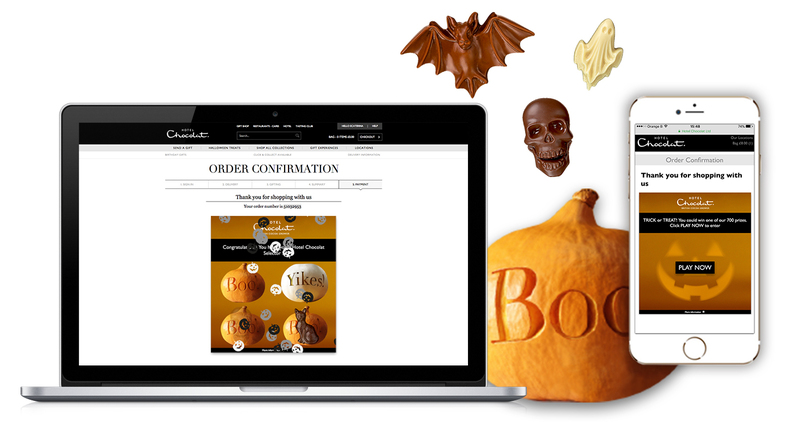 Hotel Chocolat was looking to "Trick or Treat" its loyal customers on Halloween to diversify its promotions and boost online customer traffic. Hotel Chocolat together with Luckycycle offered its customers a chance to win 1 of 700 prizes in play. A big buzz was created around their online store through social media activation.